Regular massages rejuvenate the mind, body & soul. 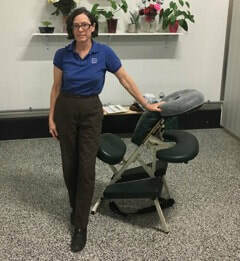 Modern Massage Works provides therapeutic massages through modalities customized to fit the needs of each client. Therapeutic massage is an essential part of maintaining a healthy lifestyle. Massage therapy can mean many things to many people. Whether it be relaxation, pain management, or enhancement of athletic performance ... whether you have medical issues or need post-operative care ... know that when you visit Modern Massage Works you will be increasing your general health and well-being.